In 2018 we ran our first taster event to help people understand how being outdoors, unplugging from your phone and connecting with like-minded peers from your own line of work can have real benefits. Now we’re spreading the idea around the country, giving you the time and space to quiet your mind and switch off the day-to-day ‘noise’ of life. This will help you to see things differently and focus on solving an issue you bring with you. Getting to know your fellow attendees and working together to support each other, you’ll get a real feel for what our kind of ‘unplugging’ is all about. 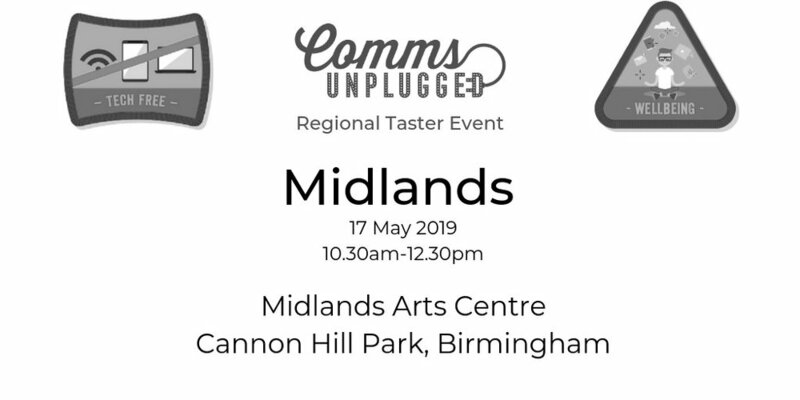 Our taster takes place at the Midlands Art Centre (MAC), located in Birmingham’s premier park, Cannon Hill Park. One of the city’s most beautiful areas, it has a boating lake, tree-lined walkways and a whole host of wildlife we can experience on our walk. Saranne Postans has nearly 20 years’ PR experience and has held a number of senior comms roles in both the public and private sector. She’s also an accredited executive coach and Fresh Air Fridays facilitator and, these days, splits her time between communications and coaching. You can connect with Saranne on Twitter (@sarannep) and on LinkedIn. Darren Caveney is the creator of comms2point0 and owner of Creative Communicators Ltd. His 23 years in communications include 10 years as a head of comms in local government and two years as a director of comms in the NHS. He’s delivered in-house training and consultancy for over 100 organisations and has spoken at over 150 events in the UK, Europe and the Middle East. He’s an associate with the Local Government Association and a mentor to several UK communicators. He also runs the unique UnAwards, is a co-organiser of Comms Unplugged and co-hosts the Talking Comms Podcast. Say hello at @darrencaveney.